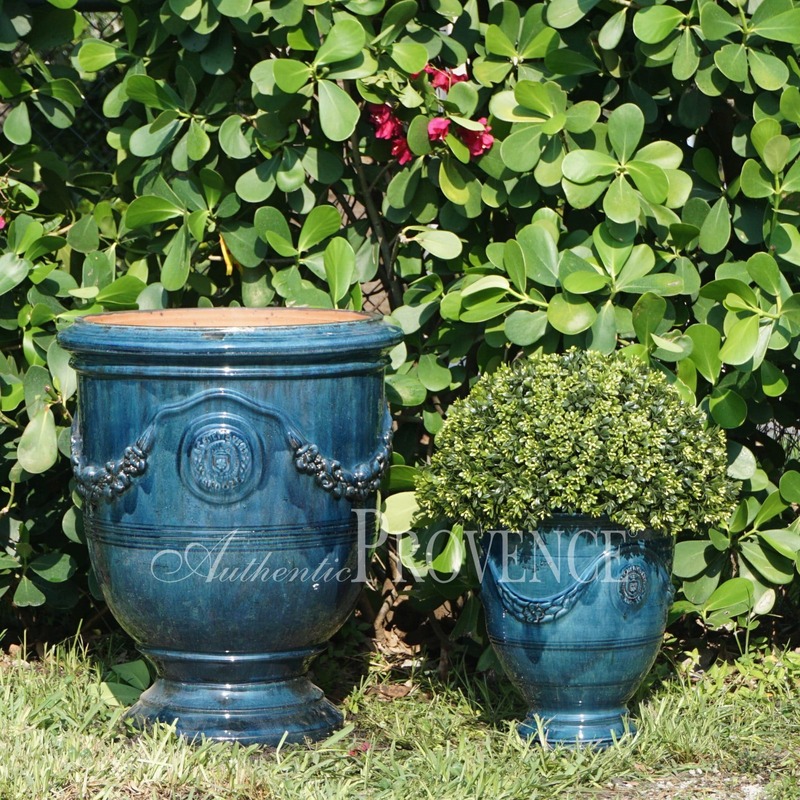 This fully glazed blue Anduze garden urn originates from the south of France. The planter is traditionally decorated with swags and a crest and includes a drainage hole. These urns are handmade in French terra cotta clay so size and finish may vary. They are not frost proof. The only available size is the larger one on the left. Categories: Garden Planters, Vase d'Anduze. Tags: BLEU, BLUE, COBALT BLUE, FRANCE, GLAZED COBALT BLUE, PLANTER, PROVENCE, TERRA COTTA, URN, VASE D'ANDUZE. 27 H in. x 22 W in.